When it comes to tea no one knows better than Uncle Lee's. We've been creating fine teas for over 50 years, combining traditional methods from ancient China with the western technology of today. Our organically grown Bai Mu Dan White Tea (also known as "White Peony") is grown in the mountains of the Fujian Province in China and is from the tender young buds and leaves that remain after the legendary Silver Needle has been harvested. White tea (camellia sinensis) undergoes very little processing and the absence of this (steaming, rolling and oxidation) leaves the appearance and cell structure of the leaves basically unaltered. This purity may be what some researchers have said might cause white tea to have a greater concentration of antioxidants than all other teas. White teas have all of the benefits of green tea and are the most delicate of all, their taste being subtle, complex and mildly sweet. To brew a perfect cup of white tea, place one tea bag into your favorite cup. Pour one cup of hot water, heated to just before boiling (180°F), over the bag. 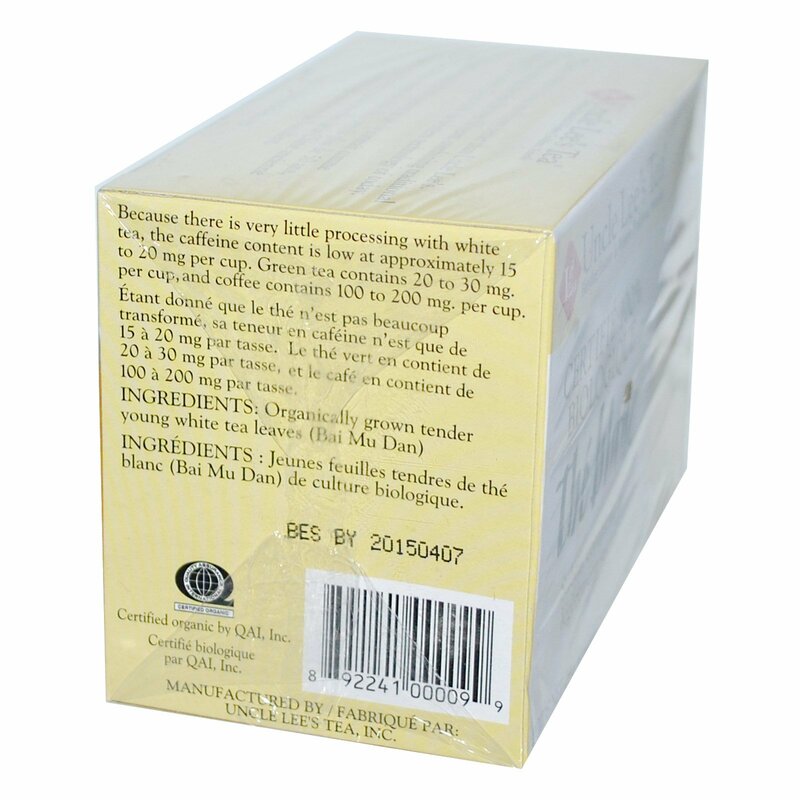 Steep 3 to 4 minutes and enjoy the delicate flavor and sweet, light aroma. 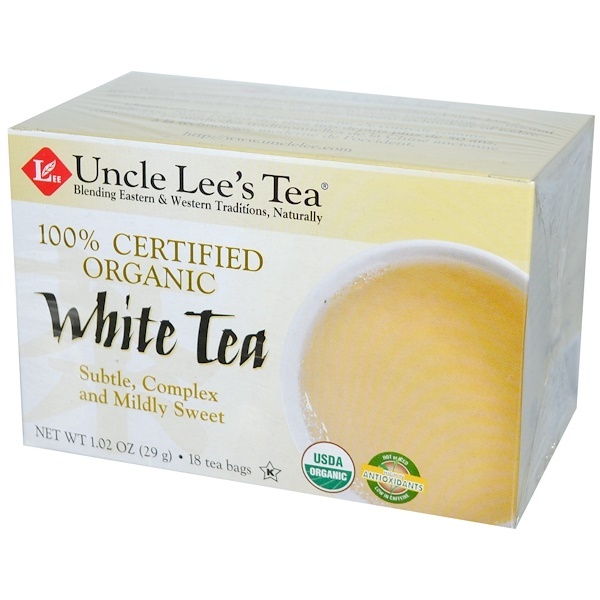 Because there is very little processing with white tea, the caffeine content is low at approximately 15 to 20 mg per cup. Green tea contains 20 to 30 mg. per cup, and coffee contains 100 to 200 mg. per cup. Organically grown tender young white tea leaves (Bai Mu Dan).